I can never resist a cute little cherry top. Especially one with pompoms as the cherry, I mean.. how much cuter can it get?? 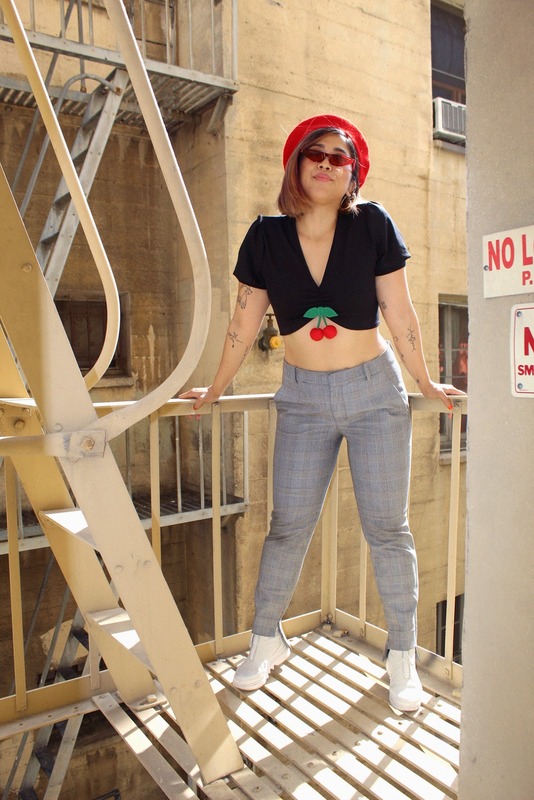 I ended up wearing this top with a pair of plaid trousers and my nikes to give it more of feminine meets masculine vibe. I think when I wear a piece as cute as this, dressing it down with some tomboy pieces is the only way I feel like myself in it. 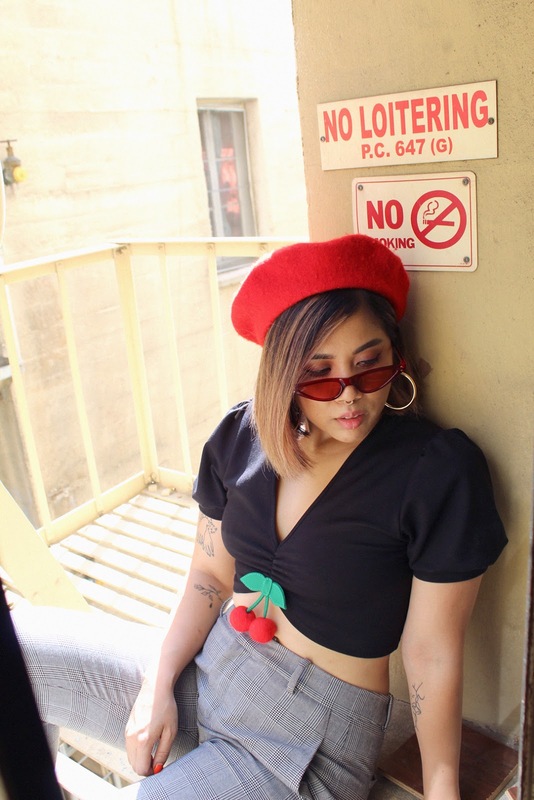 So if you're more on the tomboy side like me, don't be scared of feminine pieces. There's always a way to dress it down and the mixing of styles can actually be really interesting! You look so cute babe!! That top is amazing. I really like cherry detail and way how you combine it. Beautiful outfit. Hottie BABE! Love this look on you. Great styling as always!!!!! 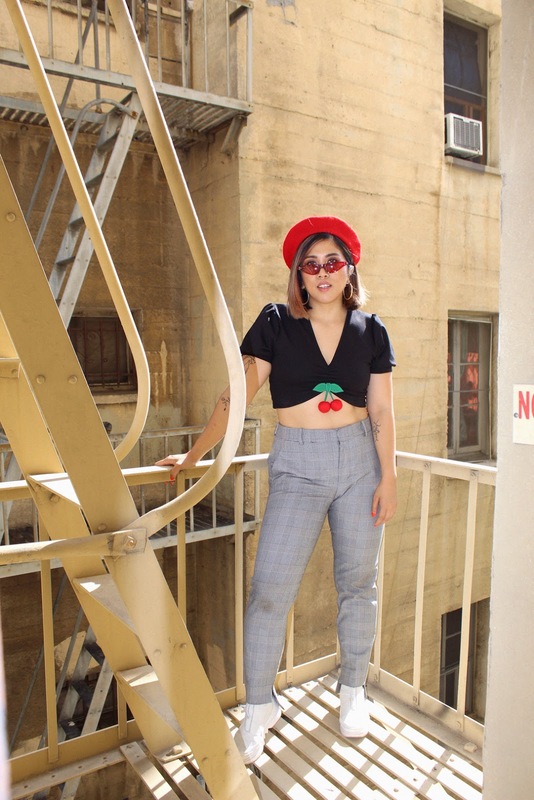 This cherry top is SO cute- and I love with the glen plaid trousers! I like the cherry in the look. This outfit is very creative, i like it! How cute are these cherries! Total babe in this street style! I love the pants so much and your top is so cool.Looking great. I love the checked pants babe. You look cute. So chic and cool look. Love the pops of red from your hat and the cherry detail. 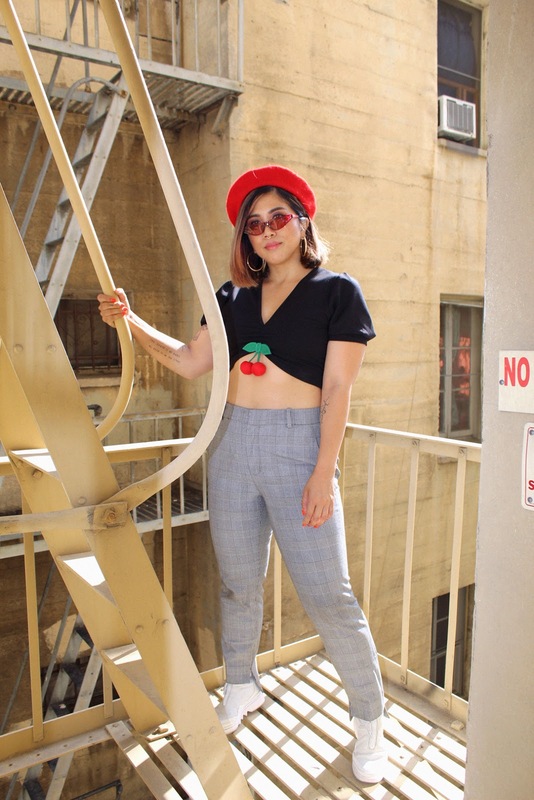 Oooh is a perfect garment, the cherry is literally the cherry on top to your outfit and that extra details that adds a lot of personality!